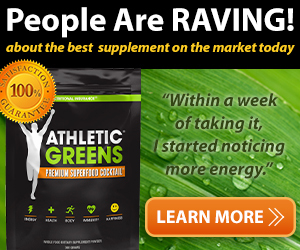 Welcome to the Affiliate Center for AthleticGreens.com. Here you can reference the program’s terms and stay up on important updates. We believe happiness starts with phenomenal health. Athletic Greens is the world’s most comprehensive daily formula for superior health and athletic performance. We call it the Superfood Cocktail, but if you want a better definition, try The Ultimate Nutritional Insurance Policy. Athletic Greens is designed for those who want to take it to the next level. Our goal is to help improve the health and happiness of as many people as possible, so we have made our high quality greens as affordable as possible. We are turning the industry on its head with this product. By reducing our margins and ONLY selling directly, we are able to offer Athletic Greens® at true “direct from manufacturer” pricing. 1. Simple, Easy and Complete – All your nutritional needs in 30 secs. 2. High Quality ingredients with world class QA and manufacturing. 3. Recommended by trusted health experts (Tim Ferriss, etc etc). 4. Taste – naturally sweet tasting and doesnt taste like grass clippings! PPC Terms: Closed PPC Policy.